The most popular service and what we’re all about – the HID Projector Retrofit. 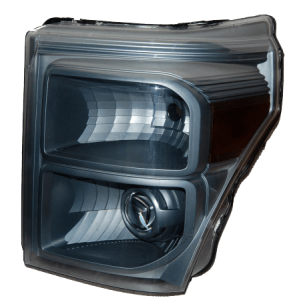 True, better-than OEM quality HID Projector lighting is one of the best upgrades you can make to your truck. Enhanced night-time driving, better visibility/safety and the unique aesthetics are just a few of the features you can expect from this type of upgrade. 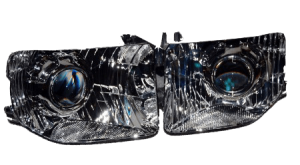 With this service we completely build a custom headlight package to your specifications. This involves the fabrication & integration of high performance HID projectors & supporting components (bulbs, shrouds & ballasts) to achieve optimum light output. Not sure of which components to choose? Contact us. We’re happy to make professional recommendations to meet your lighting needs, goals and budget. 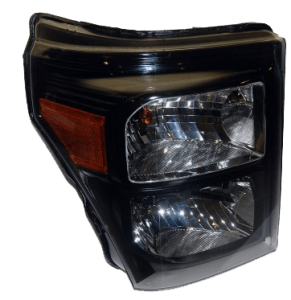 Custom Painted Headlight housings can dramatically change the look of your vehicle. This service has a number of different options including colors, textures & area/section choices. 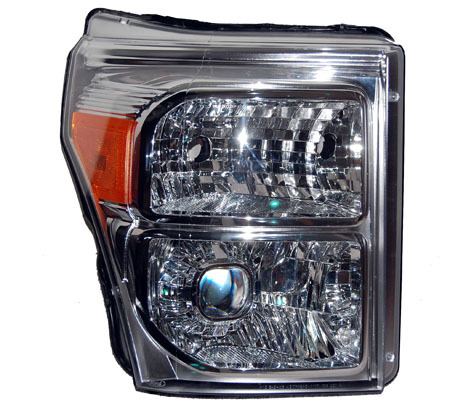 This is a great add-in service for any retrofit package or stand-alone headlight modification. Two-tone paint schemes are available to attain a certain look as well. Our most popular is satin metallic black & chrome. This is just one example that provides a sporty but clean & classy look to your lights. Working on a budget? Feel like a DIY project you can tackle yourself? We can supply all the desired OR recommended retrofit components, housings OR plug and play kits depending on your goals and budget for a build. While our premium retrofit service is an ideal option for a turnkey complete package setup – we understand it may not be what everyone is after.